Search Engine Optimization Rule Number 1 is to align your SEO efforts with the goal of Search Engines. 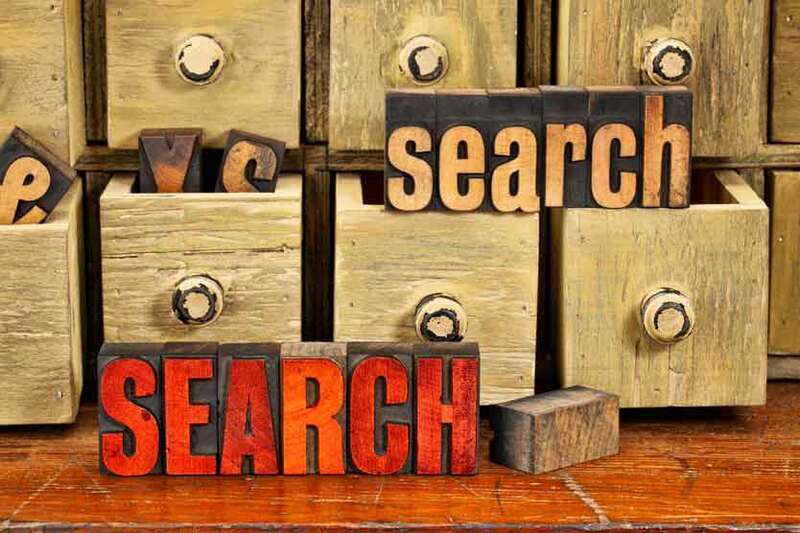 Let’s examine the goal of Search Engines: Google, Bing, etc. want to return the best possible search results for the search terms entered into their search areas. Search engines want to present you with pages of quality sites that provide you with useful information that will satisfy your search and ultimately make you happy. If they do a good job you will return again and again to their search engine to search for information. To achieve their goal the search engines send out programs, called spiders or bots, to read the internet and index links. The spiders also evaluate your website to make sure that your website is properly coded, that the content on the website pages is truly related to the page’s meta tags and that the website will provide an overall good experience for a visitor. Web pages that get the thumbs up on these criteria will be ranked high; those that do not do well on all of the criteria will be ranked lower. Your page rank plays a major role in determining where your site will be listed for any given search result. If the search engine’s evaluation determines that you are playing tricks, known as Black Hat SEO, to try and rank well for specific search terms Google may actually penalize your site; causing you to sink to the bottom of search engine results. Not a good place to be! Once you repent from the Black Hat sins trying to convince Google that you have cleaned up your act can be very slow and painful. It is sort of like lying to your parents, it takes a long time to get their trust back. Simple, make the search engine happy. O.K. a bit more detail. Your website is similar to a brick-and-mortar business. If your building needs painting, the shutters are falling off, and garbage is in the doorway, potential visitors would deem your business to be of poor quality and most likely would not go into your business. Google judges your website in a similar manner. If your website’s coding is not done correctly, if you have broken links, if the content will not provide the visitor with a quality experience, then Google assumes that searches will not want to go to your website and your ranking will be lower. So make sure that your website is properly coded, that it is properly maintained, and that you have engaging content. Each page of your website should have a specific purpose and message and the content on the page should provide quality information related to the message. Search engines read the content and now have algorithms that can understand the meaning of the content and infer related key words and phrases. That is why you may rank well for search term that do not actually appear in your content. Your page title, set with your meta tags, tells the search engines what key words or key phases that you want them to use to index your page and you can optimize your content for key words or phrases, but don’t overdo it. Google may consider this key word stuffing and penalize your page. Google understands that when a human visitor reads a web page and the same phases are repeated over and over the visitor will get fed up and leave your site. Remember Google’s goal is to rank and index web pages that the human visitor will like and find valuable. Google keeps track of the number of visitors that go to your site and then simply hit the back arrow to return to the search engine and this of course counts negatively towards your site’s ranking. So make your content engaging and entice the visitor to click through to other pages within your site. The layout of your content is also important. Put the most important information higher on page and use heading tags and sections properly to make your web page easier for the human visitor to read and scan. The proper use of heading tags and section titles also provides key word information to the search engines. Page Title is still one of the most important ways to communicate the main message of the web page to the search engines. Make sure that you put your most important key words first, that your page title is unique throughout your website, and that it does not exceed the length used by most search engines. Page Description tells the search engines the brief synopsis of the page content that you would like to appear under your indexed link in the search results. The combination of page title, url, and the page description is what entices a searcher to click on your link in the page of search results that are returned to them. Therefore, the Page Description must accurately reflect the web page content and be enticing enough to convince the person scanning the search results to actually click on your indexed link. After all, I am sure that you do not always click on the link that is first in the search results – you most likely scan the first few indexed links and click on the one that “catches your eye”. In judging your site’s content quality the search engines also look at the number and type of websites that link to your website. Social Media is playing an increasing role in your ranking. Who your friends are, links to your website, retweets, etc can all help increase your rank. A link to your website is in essence a vote that there is value in visiting your site. But links from poor quality sites can work against you. It is sort of like when your Mom said, “You are judged by the company you keep”; so stay away from link farms and other link building schemes because they are more likely to hurt your ranking than help it. Search engines are putting increase weight on mobile websites and Google recommends that mobile solutions be responsive. Google recommends a responsive web design because “it keeps your desktop and mobile content on a single url, which is easier for your users to interact with, share, and link to and for Google’s algorithms to assign the indexing properties to your content.” And, “Google can discover your content more efficiently as we wouldn’t need to crawl a page with the different Googlebot user agents to retrieve and index all the content.” A responsive design also means to the website owner that there is only one page of content that you need to write and maintain – so it is a win win. Although I have not covered all the details related to search engine optimization these are the basics steps to ranking well in search engine results. You mix in the guidance of a search engine professional, time, evaluation of results, and adjustment based on evaluation results and you will see great results. Notice I did not make you any guarantees of being ranked number 1 in search results. If anyone guarantees that you will be ranked number 1 ask them how they will achieve these guarantees and hopefully this Blog will keep you from wasting a great deal of money and/or potentially getting your website penalized.